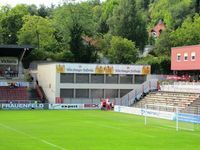 Construction of the ground along Jupp Schunk design started in 1967 with the erection of first stand, the only one with a roof to date. It could hold some 4,000 people with same amount able to watch games from three open sides to make for a capacity of 8,000. 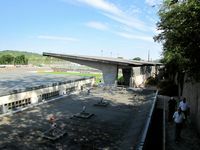 Until 1975 all three remaining stands were done and they too remain as they used to be at the beginning – uncovered terracing for both home and away fans. 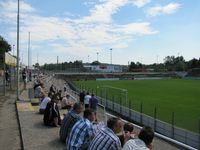 Already one year after opening record crowd of 12,617 people gathered, a number unseen since then. 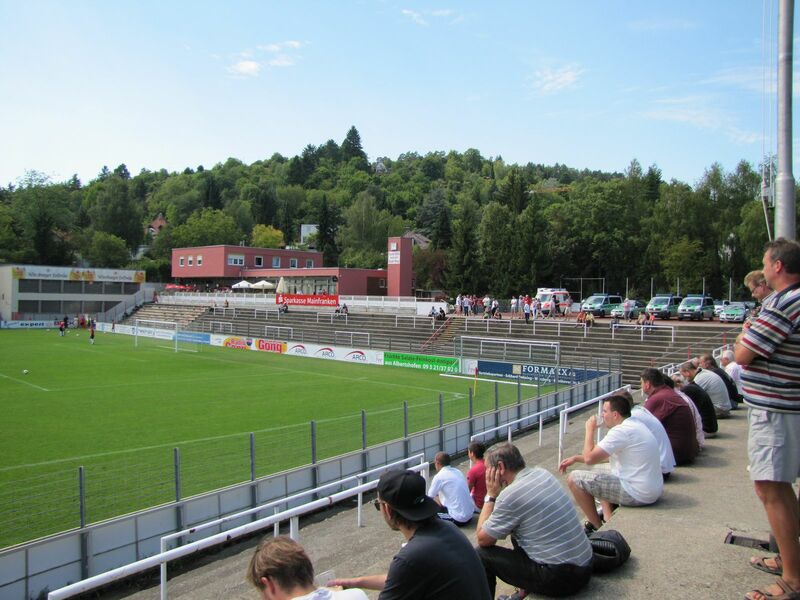 Unseen, though possible – the stadium can hold up to 14,500 people. 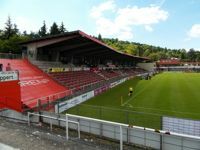 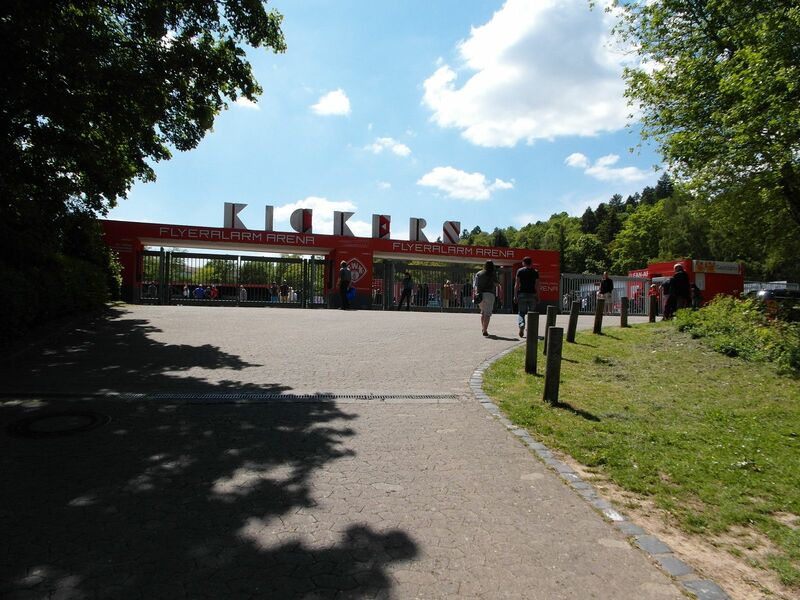 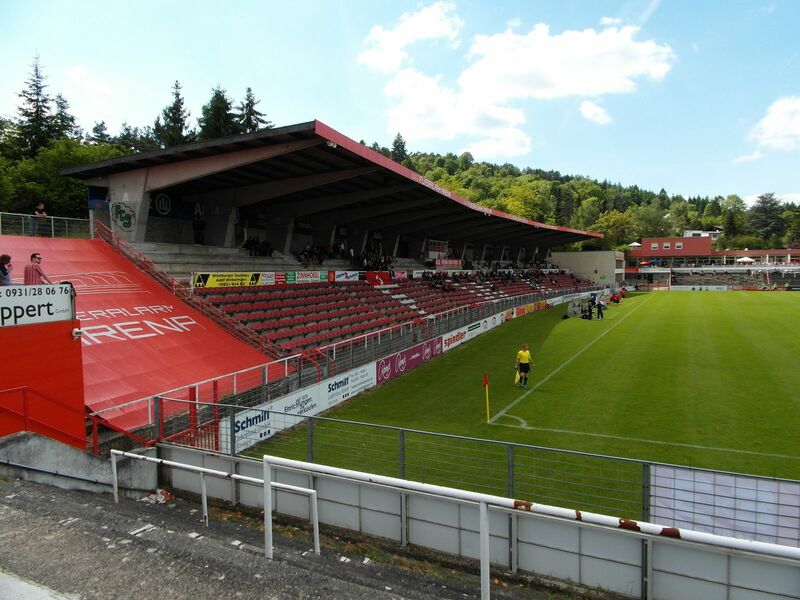 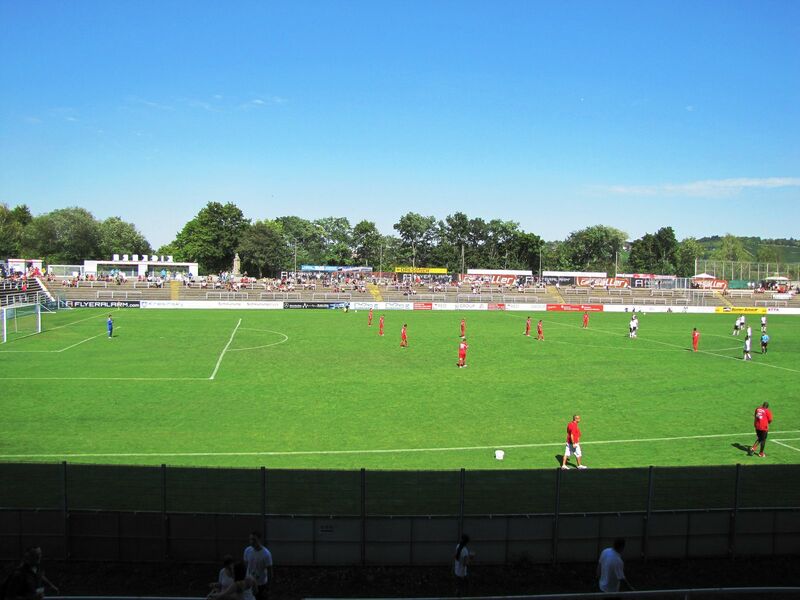 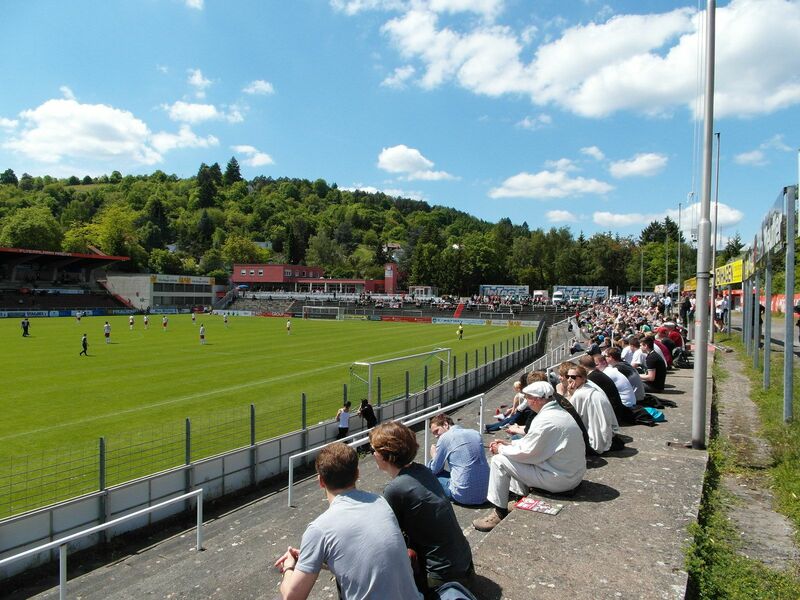 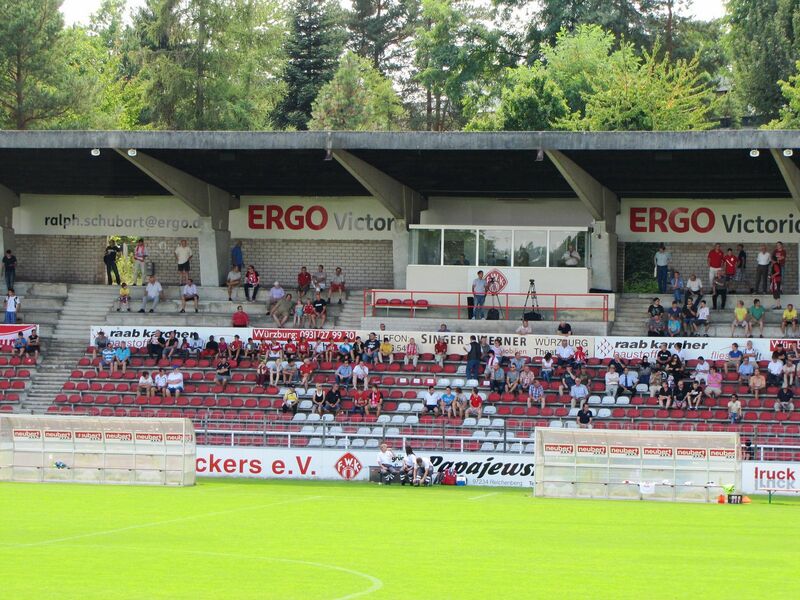 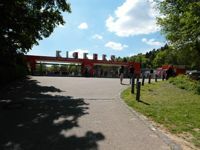 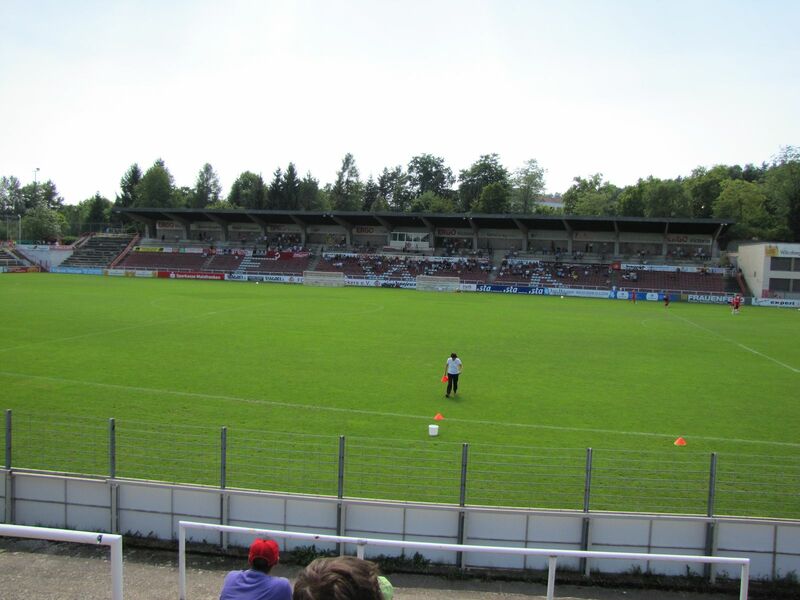 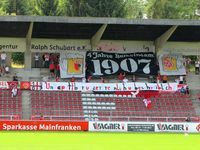 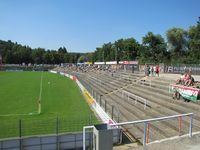 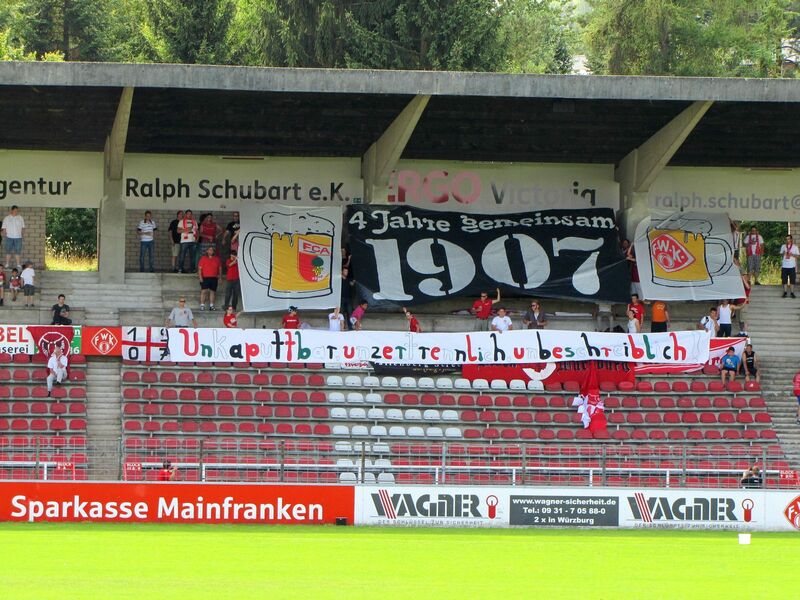 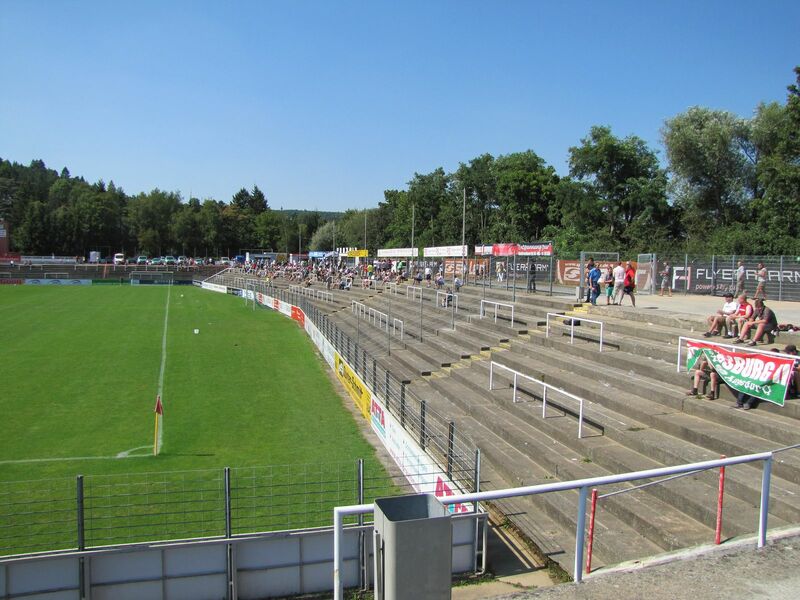 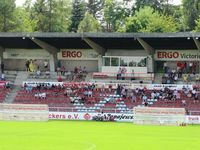 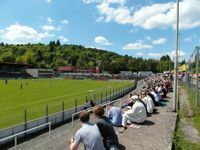 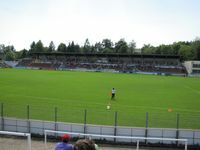 No games have reached such an interest, even the friendly between VfB Stuttgart and Ghana in 2006 (when Ghana national team was training here) had only 6,000 people watching. 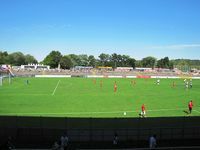 Two of today’s additions to StadiumDB.com were used by Ghana and Mexico for training in June 2006. 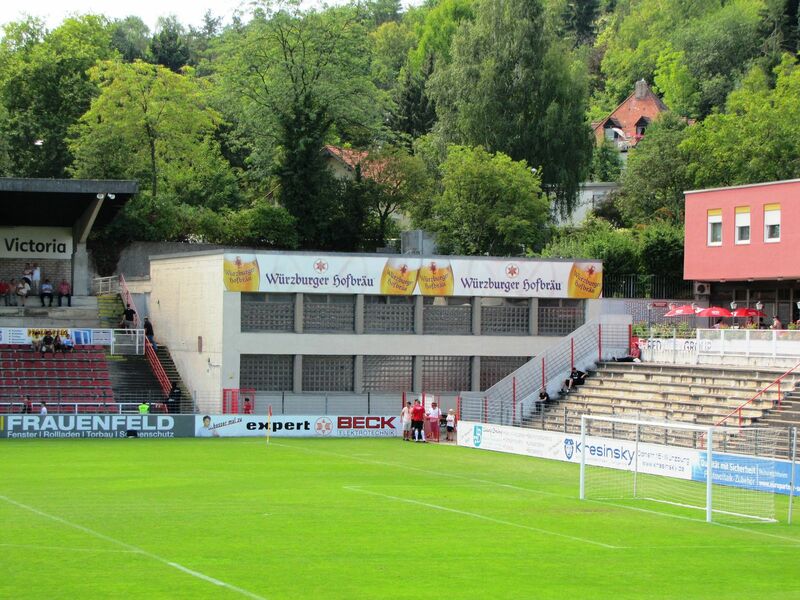 Third one was the scene of a stunning number of 25 penalty shots in one game!